A Parliamentary inquiry presented on Tuesday rebuked gas distributing companies for increasing their profits and undermining the citizen’s purchasing power after the state liberalized the market in 2015. The report was presented amid an ongoing consumer boycott that hurt the finances of three brands operating in fuel distribution (Afriquia), dairy (Central Danone) and bottled water (Sidi Ali). The report said that some companies took advantage of the liberalization of the oil sector to increase their profits from 300 million dirhams to 900 million. Some deputies such as Omar Balafrej of the FGD leftist coalition called on the government to pressure fuel distributors to return to the state 17 billion dirhams which they made in illicit profits since the liberalization of the sector. 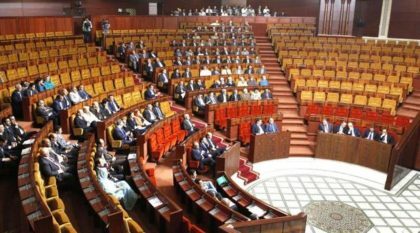 Other deputies, such as Idrissi Azami of the ruling PJD, recognized that the state benefited the most from lifting subsidies on the sector, which helped the state save the 50 billion dirhams it used to inject annually in subsidies to the oil sector. Calls also are mounting on the government to set up a maximum profit margin not to be exceeded by gas stations. The report contains recommendations for gas distributors including fostering investment to diversify the offer and maintain sufficient stocks. The document also urged the government to set up a mechanism to follow up prices and ensure free competition. Newer PostWill Bouteflika Live to See Completion of Algiers Great Mosque?